Used in 150 recipes at an average of 2.796%. A peanutbutter with Mango.. Oh yes. It works, and it is gooood. I think the recipe talk for it self. 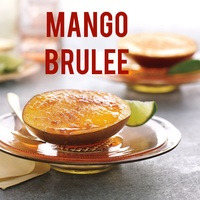 A delectable, rich and creamy creme brulee infused with fresh mango. This is good to ago after 3 days, best after 6. 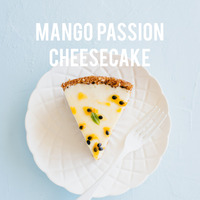 A deliciously thick and creamy cheesecake blended with fresh mango & a drizzle of passion fruit. INW Yes, We Cheesecake is my absolute favorite Cheesecake at the moment. The Philadelphia style cream cheese base is so so smooth and delectable that is is just about perfect. I added a touch of LA Cheescake to take this over the edge, without maxing out the INW. Combined, this is creamy cheesecake heaven! 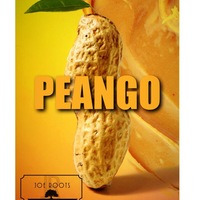 As explained in Pango, FE Mango is the quintessential mango flavour to date and I predict that it will become the go-to mango very, very soon. It perfectly encapsulates the very best a fresh, ripe & luscious mango to be with zero, zip, zilch, nada room for improvement. The is the epitome of mango. Period. FA Passion fruit is added with caution to cut the mango 'just so'. It imparts a delicious Passion fruit back note without detracting form our hero. Give this baby 5 days or so to settle and enjoy!!! This started out as an experiment to test Honeydew as I have not used it before (I have tasted it in other mixes, but never used it myself until now). I also had some FE Mango around that I wanted to try. A soft tropical Juice putting attention on the Honeydewz! 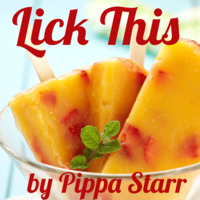 Using Mango as my boosting tropical background and Country apple to liven things up with a fresh fruit vibe. I also added some FA Pear for a touch of moistness and some TPA Sour Apple for a pucker of tarty freshness of a delicious fruit Juice. This vapes great as a SnV! and Strangely also changes flavor depending on temp/wattage vaped at. Lower wattages I get mostly Honeydew and Higher tempts a more blended Honeydew with the Mango and WS23 coming forward. SS- Leave sweetener out if you want to BUT I used 0.4% SS. Your choice. 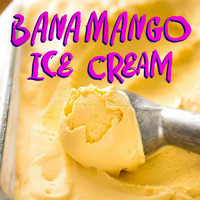 This is a smack you in the face mango banana cream blend - amazing for summer time. If you are a fruity & creamy fanboy - give this a smasheroo. I have a variation of this recipe out as a oneshot, it uses a re-labled Mango called CBE Double Mango. I have been searching long and hard for a Mango that is of the same caliber as CBE so that I can share this recipe with the world, and not only South Africa. 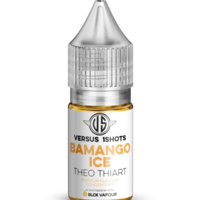 FE Mango is our saving grace here, trust me I have tried so many mango concentrates in my time in vaping (Thanks RudeRudi for finding this, and recommending it). Banana Cream TFA brings the body, and mid notes, and provides an amazing blend. 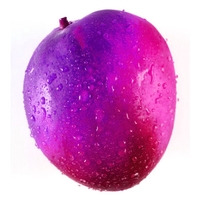 These fruits belong together. Sweeten & Cool as per your preference, I made use of 20% WS23 Dilution - and added 1% SS to the original recipe, and it really works. 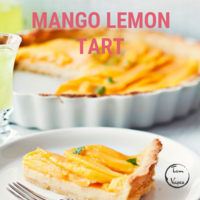 The VT Lemon Meringue Tart is a one shot that is just devine on its own; however, I wanted to createa Mango Lemon Tart. So to create this, I added VT Shisha Mango and FE Mango. A delicious mango & papaya blend celebrating the magnificence of FE Mango. Along came FE Mango and restored my faith in the search for the e-liquid mango kingdom's holy grail...the humble mango. FE Mango is the quintessential mango flavour to date and I predict that it will become the go-to mango very, very soon. It perfectly encapsulates the very best a fresh, ripe & luscious mango to be with zero, zip, zilch, nada room for improvement. The is the epitome of mango. Period. At 4%, this is pure heaven and easily a solo ADV. I added a splash of TFA Papaya and a smidgen of Peach to create a mango forward melange of fresh, ripe fruit. The peach adds a slight peachiness without messing with our hero and keeps things nice and moist. I adore the inherent bitterness of Papaya, which perfectly balances the sweetness of the mango, whist adding to the mouthfeel with results in a thick, full vaping experience.